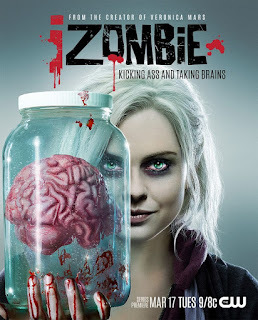 Danni Laura: Underrated TV Series Worth Checking Out. For me, it's easy to list TV shows into six different categories... I'll get round to the TV shows I recommend at the end! 1. The shows that have ended that I can happily rewatch again and again. 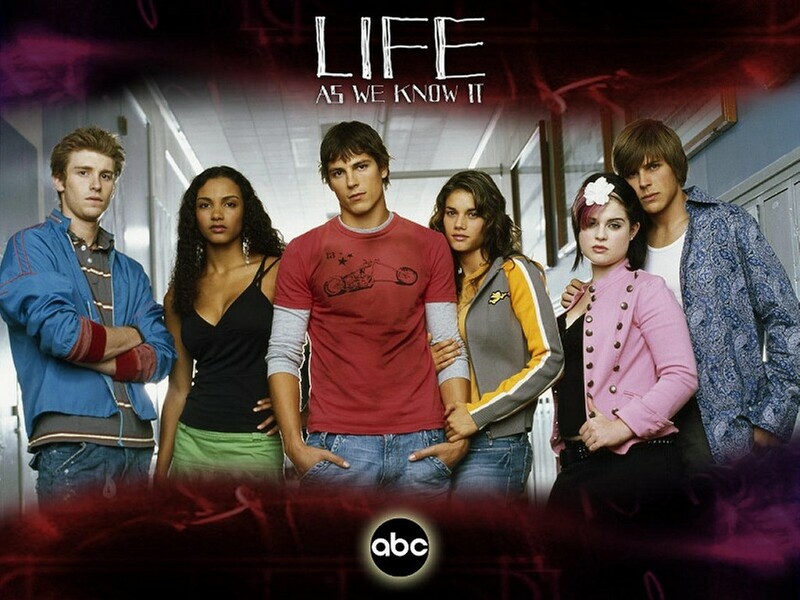 That '70s Show, Veronica Mars, The OC, Buffy, Gavin & Stacey... All pretty well known, the shows in this category all ended several years yet keep their appeal even when rewatching for the umpteenth time! 2. The shows that lost my interest or I've just fallen behind on. You know what shows I mean, the ones you love when they first start but your interest in it wanes a couple of seasons in so you just stop watching it altogether. Charmed, True Blood, Supernatural and The Originals fit this description for me. Then there's the ones that you don't watch as regularly because you've discovered newer shows and more & more new episodes keep coming out, you keep telling yourself that you'll catch up at some point... That 'some point' still hasn't materialized yet. Once Upon a Time, The Vampire Diaries, New girl... I'm looking at you. I promise I will get round to watching you! 3. The shows everyone else loves... I just don't. Sorry, not Sorry. Game of Thrones, Breaking Bad, The Walking dead. Everyone raves about them, I've watched a couple of episodes of each with my boyfriend as he loves these shows but they're just not for me. 4. TV shows where the hype is real! Orange Is The New Black, I clearly won't be doing anything but watch this when season 4 hits Netflix this summer. Girls, Season 5 just finished and next season is going to be the last one... I'm so sad about this. Making A Murderer. Oh god, where do I even start with this? Everyone has their own opinions and theories after finishing Making A Murderer, I think it's the most gripping docuseries I've ever seen! 5. TV Shows that ended too soon. These shows are a quick watch as they all got cancelled after one season, something I am still not too pleased about as I loved all three of these shows. Remember The Osbournes episode where Kelly auditions for a teen drama and got the part? Well, this was that show! I caught a few episodes of this on Living (Is that channel even around anymore?!) back in 2005 after it had already been cancelled in the US. I bought it on DVD from America so I could watch all of it and it's definitely worth a watch. It hasn't been released on Region 2 DVD but you can buy the american import from Amazon here. Alternatively, there's a playlist with every single episode on Youtube here. This sitcom was never aired in the UK which is a shame as it would have fit right in on E4's lineup. Despite critical acclaim, Fox cancelled Enlisted two thirds into the season before finally airing the last episodes. 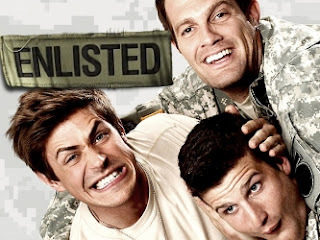 I'd go so far as to put Enlisted in my top 5 sitcoms, it's a show I'll definitely rewatch. You can buy the american import on DVD from Amazon here but I'd recommend watching it online instead. The show centers on the Hill brothers, part of Rear D in the US army, and the rest of their unit. If you do watch it online, a quick google search should tell you what order to watch the episodes in as FOX didn't actually show them in the right order! This probably didn't help the ratings, which was a factor in the show's cancellation. There's only 13 episodes at 20 minutes each so this is a quick watch but definitely worth it. I only watched this for the first time in 2014, by which time it had already been cancelled for 2 years. This show has had so many petitions to try and bring it back, I'll hold my hands up and admit that I've signed one! The expensive special effects were listed as the reason for the cancellation, which is sad as the show pulled in good ratings. 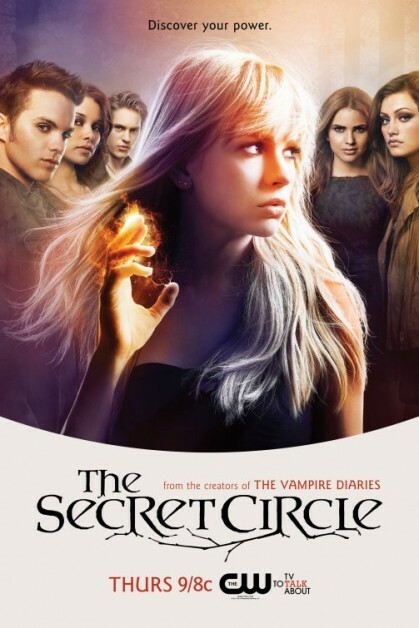 The show revolves around Cassie Blake after she moves to Chance Harbor. She finds out that she's a witch and completes the circle formed by her new friends. Well, I'll never know! I couldn't even get answers from the book series it's based on because they're so different. While we're on that though, the book series is worth a read too! The shows I love that are currently airing and I manage to keep up to date with. Not currently shown on any UK channels, I have to use the Hola plugin on my browser to watch this on the CW website. I first started watching this because it's created by Rob Thomas, who also made Veronica Mars. It's similar in the sense that there's a different murder case every episode while running alongside a season long storyline arc. I've just finished season 2 and I think the season finale might be one of the best I've ever seen. Here's hoping this finds a home on a UK broadcaster soon! An MTV originals series, this focuses on best friends Amy and Karma after they're mistaken for a lesbian couple and decide to go along with it in order to become popular. Amy realises she might not be faking it after all as she finds herself falling for Karma. I believe this is shown on MTV UK but I just watch this on the american MTV website, again using the hola plugin. The show is currently on it's third season but the episodes are only 20 minutes each, meaning it's very easy to fall into binge watch mode! Ahhh, my Favourite! I'm so excited for season six! 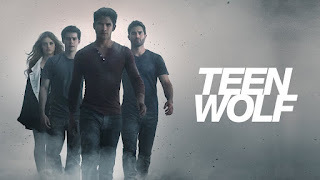 I feel like Teen Wolf is very underrated, especially in the UK. 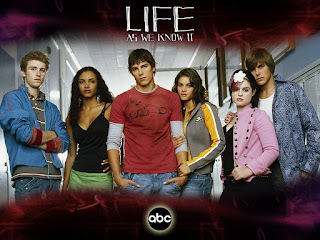 The first two seasons were aired on sky Living and then released on DVD but the seasons after were not. But, good news, it was picked up by 5* and they're currently showing seasons 1 & 2 again. There's no word on if they'll show seasons 3 and onwards though. No surprise that this show is based on the 80s film of the same name. Each season has a different villain, except seasons 3 &5, which are longer seasons and feature two main villains. I started watching Teen wolf when I saw a tumblr post comparing Stiles Stilinski to Seth Cohen... My interest was piqued! 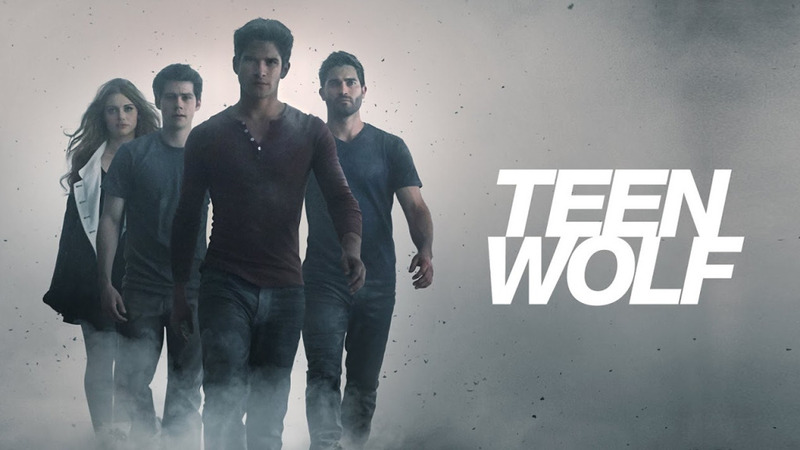 The main cast has gone through some changes over the last five seasons but Scott, Stiles and Lydia are still going strong. They're pretty much Teen Wolf's Harry, Ron and Hermione! 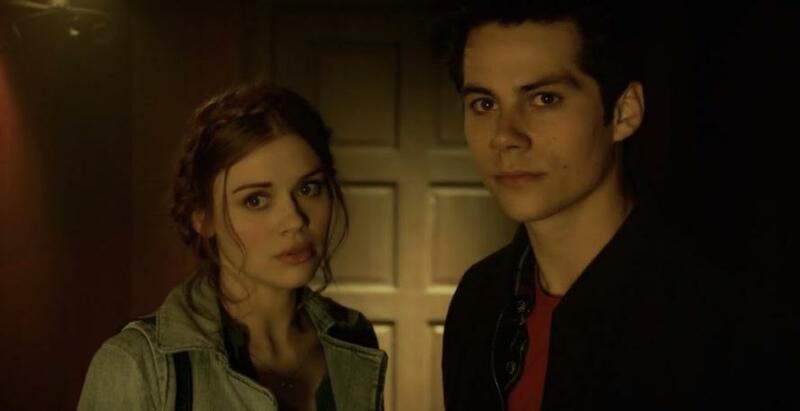 I can't mention Teen Wolf without mention my ultimate OTP of Stiles & Lydia can I?! I've spent five seasons waiting for these two to get it together... and I'm still waiting! Rumour has it season 6 has a bright future for me and my fellow Stydia shippers! So there we have it. Some of my favourite TV shows that I don't think get enough loving! Will you be checking any of these out? Don't forget you can follow me on bloglovin to stay up to date with new posts!